JAY COLES is a young adult and middle grade writer, a composer with ASCAP, and a professional musician residing in Indianapolis, Indiana. He is a graduate of Vincennes University and Ball State University and holds degrees in English and Liberal Arts. 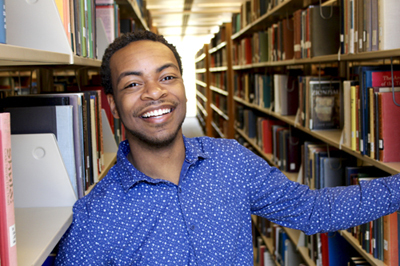 When he’s not writing diverse books, he’s advocating for them, teaching middle school students, and composing music for various music publishers. 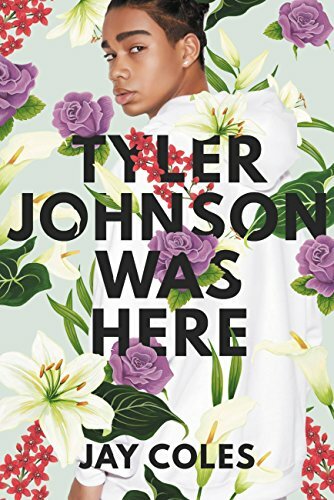 Jay’s young adult novel TYLER JOHNSON WAS HERE is about a boy whose life is torn apart by police brutality when his twin brother goes missing, inspired by events from the author’s life and the Black Lives Matter movement. I’d been querying and sending out manuscripts to agents since I was in high school. I was pretty ambitious (Ha ha). A lot of those manuscripts were really not good and thank God no agent signed me for them. Then, one day, I thought, “hey, what if I wrote a story inspired by events in my life?” I tried and tried but wasn’t really getting anywhere with that story. After Trayvon Martin lost his life, something inside me clicked. I was filled with rage and tears and anger and also lots and lots of words. It reminded me of what I saw happening in neighborhoods like mine growing up. Innocent black and brown kids getting their lives taken by white folks and even police officers. Years before Trayvon, a cousin of mine was shot and killed by the police. Eventually, I started plotting a story based on actual events and felt like I had so much to say and wanted to get my feelings out there, make my voice heard, make so many kids’ voices in my neighborhood heard through what would become TYLER JOHNSON WAS HERE. As I mentioned above, I had many other manuscripts (finished and unfinished) before TYLER JOHNSON WAS HERE (TJWH). I didn’t outline for any of those, but I did for TJWH. Weird, right? For whatever reason, there were specific moments that I wanted to highlight as like “the most important scenes” and wanted to be really intentional about that as this is a story that’s super vulnerable, having been inspired by events in my own life. I’m currently finishing up outlining for my next couple books and am halfway done writing my next YA. Outlining has been super helpful and I never thought I would enjoy it as much as I have. I used to think about it as a very tedious, unnecessary thing. But it’s actually really important for me. In case you were wondering about where I do my writing, you can find me writing in your local coffee shop or in a dark room with absolutely no light with my headphones in. It’s easy for me to get distracted, so I force myself into dark rooms sometimes when coffee shops get overwhelming. Also, after I outline a book, I create a playlist for it on Spotify—comprised of songs that highlight some of the important scenes and important themes of the story, and I listen to that playlist over and over again until the book is complete. I have one for TYLER JOHNSON WAS HERE that I plan to share closer to the release date! It may be on my website (jaycoleswriter.com). So, writing TYLER JOHNSON WAS HERE was sooooo hard and soooo emotionally taxing that I had to take lots of breaks and almost didn’t finish it. I almost put it on a shelf and started another book with a much lighter concept. But it was listening to people in my life—close friends and supportive author friends who continually reminded me that my story needed to be heard and deserves to be on a bookshelf someday. All of this in addition to feeling the urgency from Kendrick Lamar and J. Cole and even Tupac, who were (and are) addressing race relations and power structures in our society through their art of music, reminded me that books are also a powerful art that could tackle some of those themes as well. A year after I graduated High School, I signed with my agent. We did a few rounds of edits together and when I saw THE HATE U GIVE sell and slay the industry, I got so encouraged and was even more excited to see how stories about black and brown kids were so wanted and needed by people all over, especially black and brown kids who desired to see themselves in YA for so long. I am absolutely pleased to see the push for diversity in our industry, particularly in YA. I think there are several sort of “rising stars” that I’ve been keeping my eye on this last year that have been absolutely slaying bestsellers lists and have gotten amazing awards and recognition for the work they’re doing to provide diverse literature. Some names that come to mind right now would be Samira Ahmed (LOVE, HATE AND OTHER FILTERS), Angie Thomas (THE HATE U GIVE & ON THE COME UP), ARVIN AHMADI (DOWN AND ACROSS), DHONIELLE CLAYTON (THE BELLES), S.K. ALI (SAINTS AND MISFITS), IBI ZOBOI (AMERICAN STREET), and L.L. MCKINNEY (A BLADE SO BLACK), among many, many others. So excited to see them doing the dang thing and really thrilled to see what they’ll do next. Oh my gosh. Chills even thinking about all that representation and all those beautiful black and brown books that will be classics for years and years. On the other hand, I still think our industry has a long, long way to go. I believe that we are getting somewhere and there is progress, but I think the conversation quickly shifts to cater to the white gaze every time we start talking about diversity. I think with this push for diversity (a push started by POC, not white folks), white authors are trying to write diversely, as if it’s trendy and aren’t quite getting it right. We’ve seen this with E.E. Charlton Trujillo’s messy WHEN WE WAS FIERCE and also with even messier Keira Drake and THE CONTINENT. And of course there are several, several others. I think every day, however, there is still pressure put on publishing from people of color, especially women of color, who are tirelessly putting in work behind the scenes, hoping for some change, hoping to shake the roots of a system deeply rooted in bias and racism so that there can be an actual movement of normalization of diverse stories. Recently, I saw that a WOC got her own imprint focusing on only diverse books from marginalized authors. I think this is good and there is a lot of good that will come out of it, obviously. However, this also reminds me of this kind of “separate but equal” mindset that white folks in publishing still have about diverse stories in the big 5 publishing houses. Again, this is an ideology deeply rooted in our industry. 2018 has been a great year for diverse books and I love that I see quite a few of them being talked about on Twitter, but I think percentage-wise compared to the books releasing in 2018 by white authors, the numbers are very disproportionate and that makes me quite sad. There is still a lot of work to be done, but again, I’m hopeful. Hah! Another reluctant convert to outlining! Yeah, I feel that, too. I remember the cover reveal for this book about knocked me down — it. is. so. beautiful. And to see a beautiful boy in the midst of all of that art — wow. I appreciate people who can create beauty in the midst of pain, and this book just embodies that all the way. Thank you.